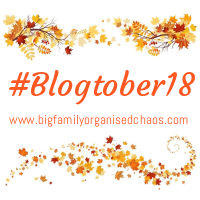 It’s day 23 of #Blogtober and today’s prompt is Wishlist for the future. Rather than share the usual “more money, be healthy, be happy” sort of stuff, I have decided to share Five things on my bucket list. Some are more achievable than others. This has been on my bucket list for as long as I can remember. I recall saying to my Mum that I was going to move there before I was 25. (My love of all things Neighbours and Home and Away as a teenager sparked my obsession with Australia). Hubby and I almost went in 2009 for the Melbourne F1 – we even booked the hotel! For reasons I cant quite remember now, it never happened though. Unfortunately, life as a special needs mum means I’ll probably never get to visit Australia any time soon – Even if I win the lottery. 2). Open a respite centre or holiday let for families with children with special needs. Ideally, I’d love to live in the middle of nowhere in a farmhouse, and have a fully accessible holiday home on the land too. I’d love to be able to help other special needs families to have a stress free holiday. I’d even offer my services to babysit to allow the parents to get a much needed night out while on their holiday. If this sort of service existed in the UK, I can imagine it would be fully booked year round! I have had an idea for a book bubbling around in my head for a couple of years now. One day, I hope to find the time to get the words out of my head and onto paper (or computer screen). I’m not giving my idea away, but hopefully one day you’ll get to read about it here. 4). Put it all on red. For as long as I can remember, I have wanted to go to Vegas and put a big bet on Red at the roulette table in Caesars. No idea why. I blame it on James Bond. My brother went for his 40th birthday last year and I gave him $20 to do it for me… he lost! Hubby and I tied the knot in 2010. We did it in secret, and planned to slope off on Honeymoon once the dust had settled. Then I got pregnant, so it never happened. We’ve not had had a single night away as a couple since our son was born in 2011. I’m not expecting Mauritius, (although that would be fabulous). I think we’d both settle for 2 nights’ peace in a caravan right now. There you have it – the top 5 things on my bucket list! What’s on yours? Feel free to share in the comments! I hope you manage to achieve some of them. Love your bucket list, Australia is the top of ours as well, we do have friends there as well who we haven’t seen for a long time. Love your whole list. I hope you get to tick them all off. Maybe I’ll get there for my 60th. Can’t see it happening before then.